I felt comfortable immediately in Canada. The customs entry process was the easiest imaginable for me and my bike. The people were so welcoming, and almost spoke the same language as me. So much seemed to be American and British in equal measure. Not to mention very French too, even on the west coast. Vancouver was warm, familiar, and successful. I liked the combination. 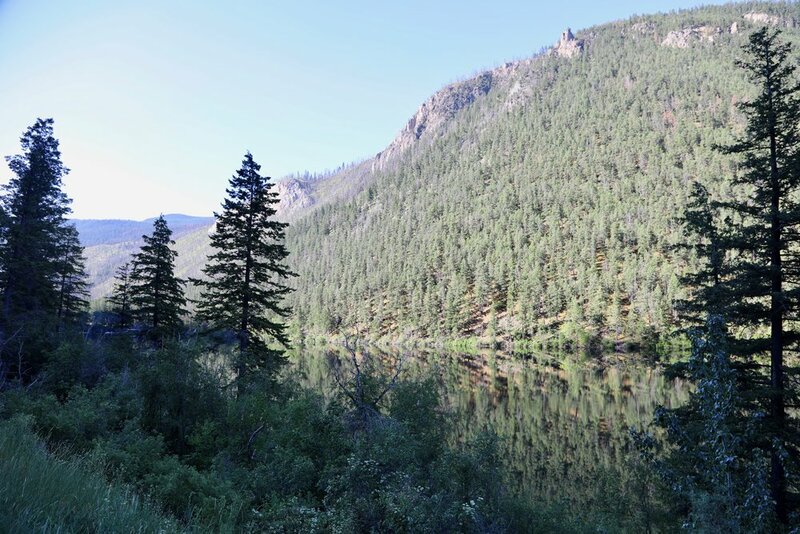 I rode north, following the coast for a while, before swinging inland and up the Rockies. The roads were perfect; a welcome change after 5 months in South America. The scenery was gorgeous, the sun was shining, and there were bikes everywhere loving being ridden. After a couple of days I hit Dawson Creek, the start of the Alaska Highway. This incredible road begs to be ridden. It’s 1700 mile length was constructed in just 8 months in the summer of 1942 to secure a road supply route for US military needs after Pearl Harbour. It has now been straightened in places and shortened to about 1380 miles. 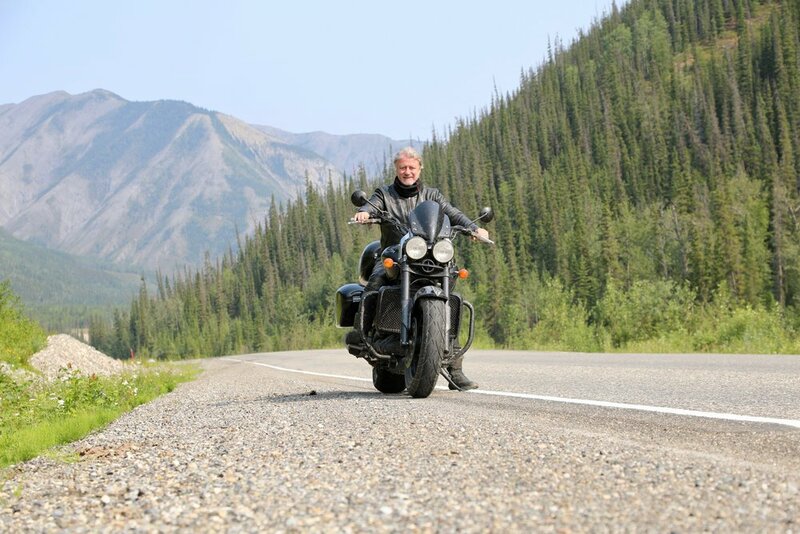 I only planned to ride it to the Alaska border as I still did not have permission to enter the USA. There are so many twists and turns, following the contours of beautiful scenery, and creating a few of their own. 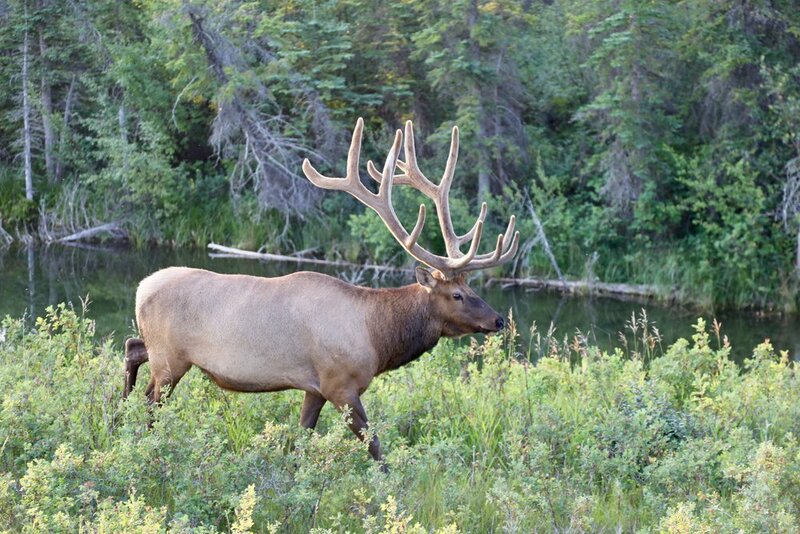 Rising and lowering past lakes, rivers, and thick forests, this vast wilderness teems with wildlife. I saw several bear cubs but no big grizzlies, moose, caribou, elk, bighorn sheep and herds of bison. Stopping for a photo at the very touristy looking “Welcome to Alaska” sign, I decided to chance my luck and ride on a further mile to the border post. The grey, square block, with a barrier, cameras and people working inside wearing Custom and Border Protection uniforms, looked very much like the border to me. After explaining my plight and asking for permission to enter just for 10 minutes to put a smile on my face, I quickly realised my mistake. The sign at the bottom of the hill was in fact the border, and the grey block at the top of the hill was in fact wholly inside the United States. I had some explaining to do! The conversation that followed quickly changed tone, and several references were now being made to me being an “undocumented alien”. My simple request to have the smile put back on my face, had backfired. I had some serious grovelling to do. A number of proposals were made to me to recover the situation. I accepted the simplest one, and the one which I trust will not be recorded against me for a future entry consideration. However, I rode back down the hill and when out of sight gave out a series of whoops and hollers as I realised that, yes, if only for one hour, I had got into the United States! I have had the very great pleasure of riding through so many magnificent landscapes on my ‘round the world journey, but I have now settled on one quite short route that I have appreciated the most. 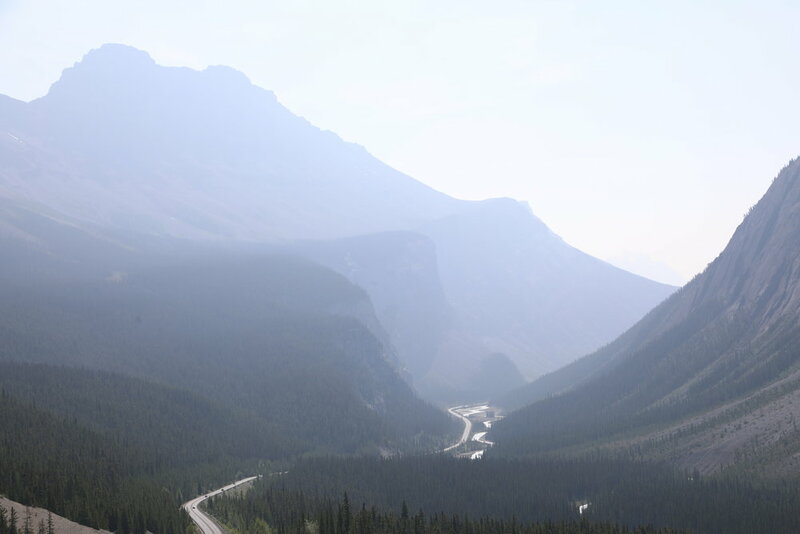 It is Highway 93, running from just north of Jasper, through Lake Louise, and south to Banff. All in Alberta, it appears to run in a straight line but follows the twists and turns of the Bow river as it carves its way through through the beautiful Canadian Rockies. The terrain is mountainous, with numerous glaciers and ice fields, dense coniferous forests and alpine shrubs. The road is generously wide and gloriously rewarding. Numerous view points, trail heads, turnouts and picnic opportunities make this feel well managed but still magnificently wild.